Originally founded in 2006, Soul Kandi was started by Jai Cortez & Nick Power who together have been successfully playing music from the Underground House Music Scene for over 30 years both here and abroad. Seeing a gap left on the music scene in 2006, Soul Kandi was born to keep good Soulful & Vocal House Music around. Now well established on the UK & International Scene, hosting various Radio Shows and appearing regularly at live events, the team is constantly finding more fans and lovers of the Soul Kandi Vibe each and every week. This can be seen by the continued success of our DJ’s and the rapport built between the Soul Kandi Team Members, followers and fans. Each Saturday afternoon you can tune in LIVE to the Soul Kandi Radio Show with your host Nick Power playing ‘Soulful & Uplifting Grooves’ across the internet and all over the world. His very popular radio show is constantly in the top of the charts every week with a staggering amount of registered ‘fans of the show’ and in excess of 3000 people tuning in for a replay on one station alone. This show is syndicated to over 15 more stations worldwide in Japan, Greece, Spain, France, South Africa, Italy, Cyprus, Serbia & several in the UK and has a guesstimated reach to around 60,000 people each week. Nick Power has worked hard to build up this show, with his ‘superb selection of tracks’, constant banter and array of followers, it is no wonder it is talked about so much as being one of the leading Soulful House Music Shows in the world. Join here: Join Us – It’s FREE! 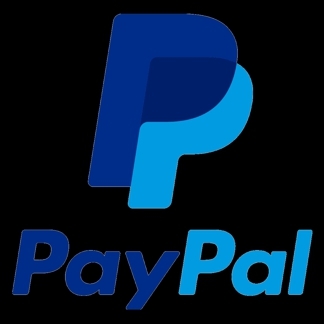 Click On The PayPal logo below to be directed to the money pool.